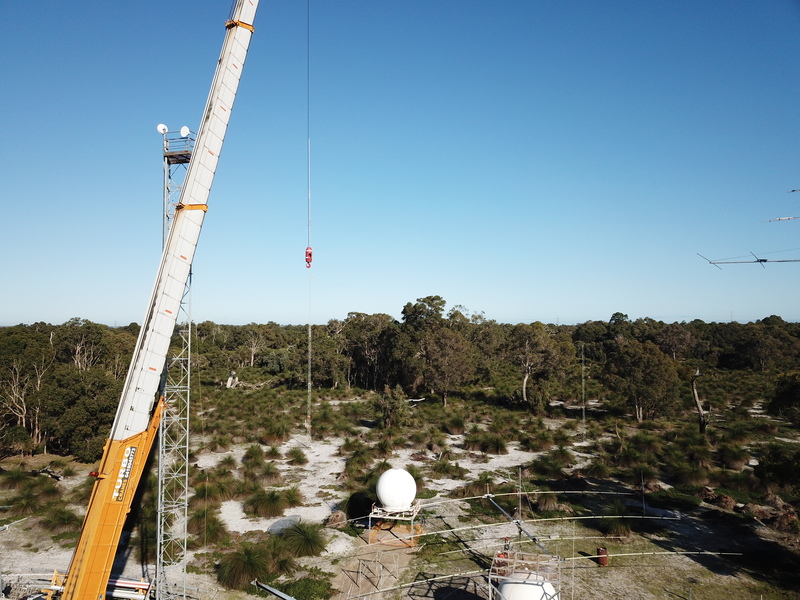 Ultra Beam ready to be craned into place on the tower in the back ground. 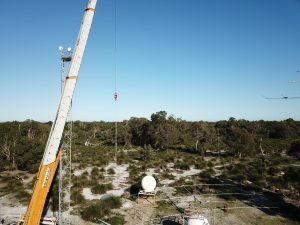 The crane is about ready for the Ultra Beam lift. 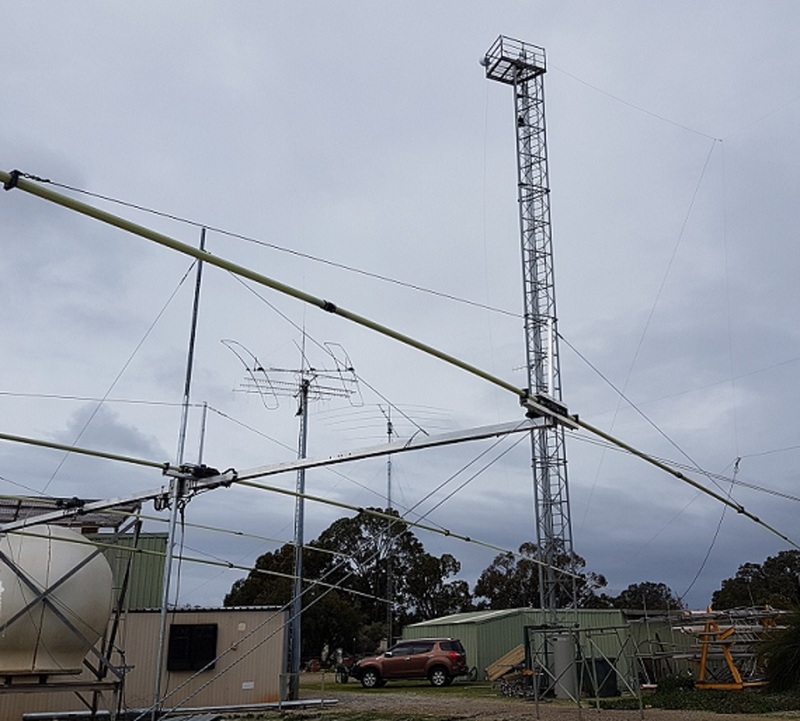 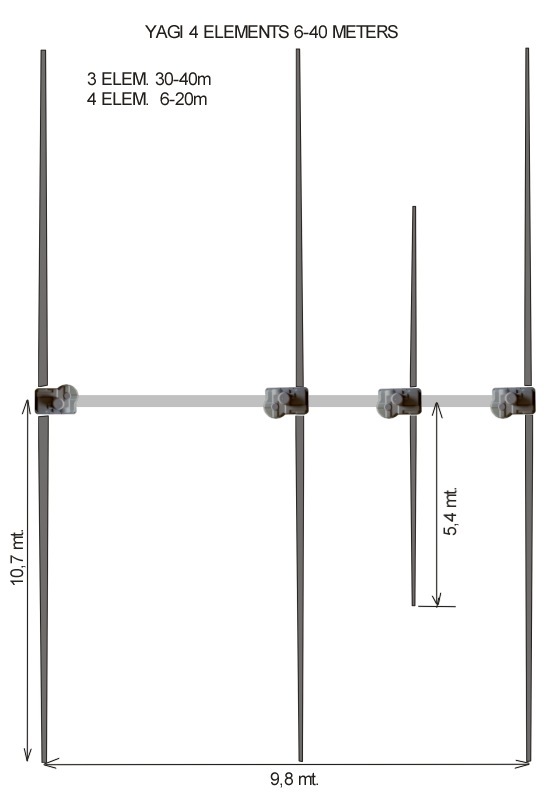 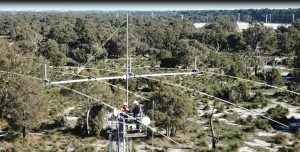 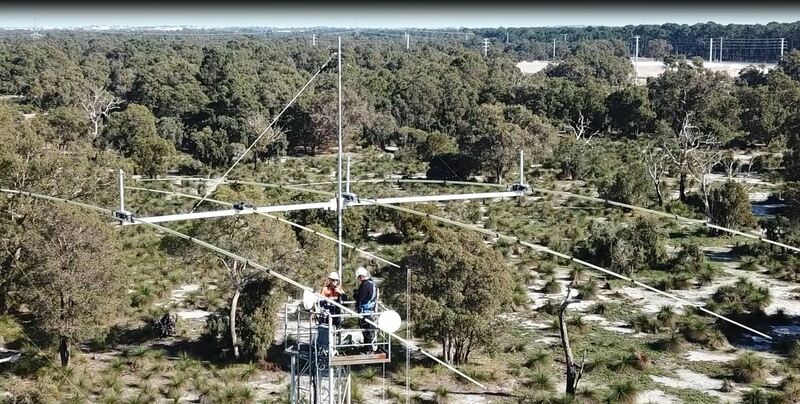 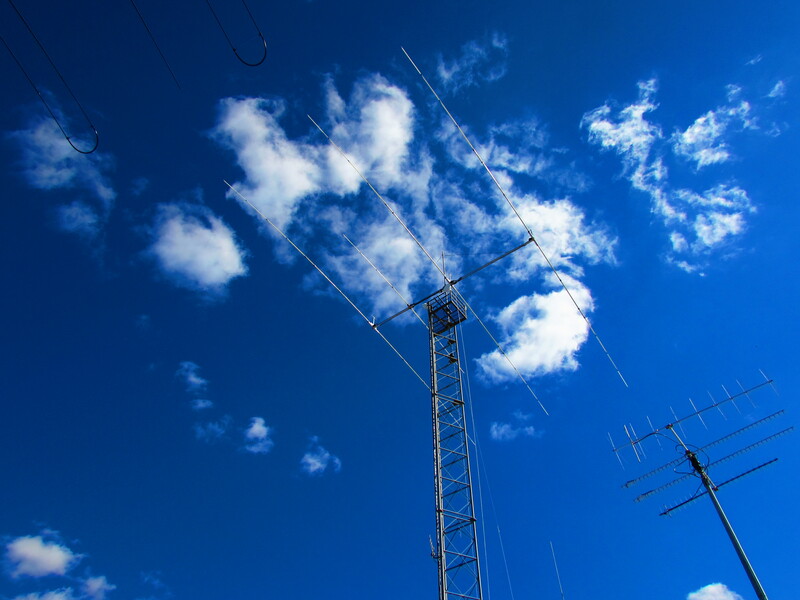 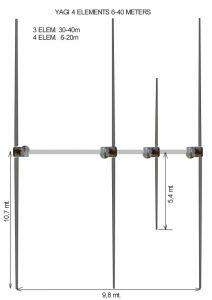 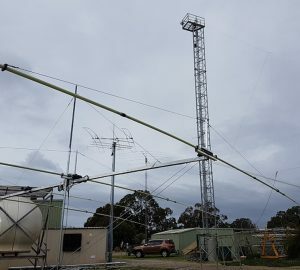 4 element UltraBeam 40 to 6 metre yagi @ 32 metres height. 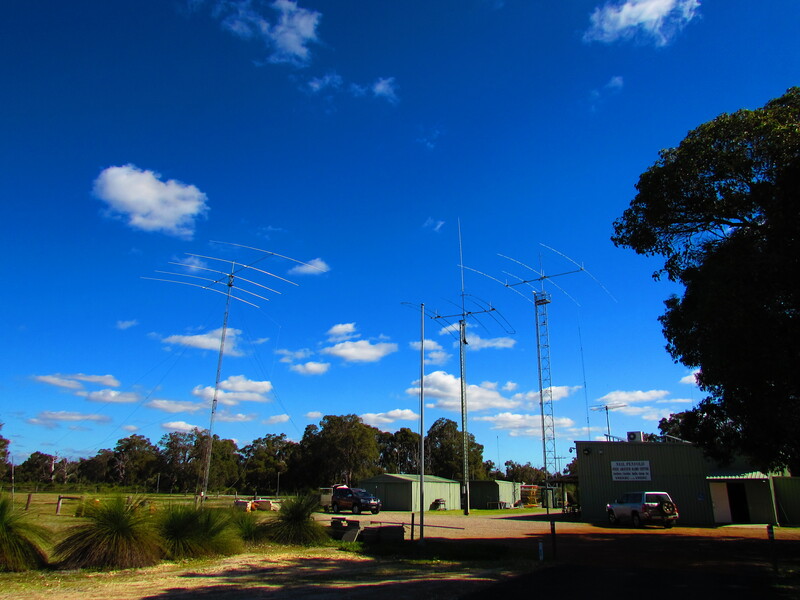 Some of the antennas at the club rooms.